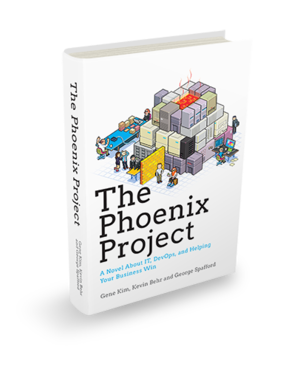 A book that’s on our reading list here at the office is The Phoenix Project. It’s a novelization of the life of an IT director thrust into an enterprise-wide crisis in a company buckling under the weight of out-of-date tech and culture — from applications powering the factory floor to servers powering marketing efforts. This is the very situation plaguing companies everywhere in every sector. And it’s driving the rocketing demand for cloud computing, the infrastructure to power it, the cybersecurity to lock it down and the big data to gain advantages for their customers and stakeholders. Push Button, Create Server. Now What? When we began marketing cloud computing in its early days — when the notion of creating a server with the touch of a button was a novel idea — the naive parts of us thought that digital transformation was something that could be as easy as “just put it in the cloud and embrace the future.” In reality, it can be more like undergoing a heart transplant while running a marathon. The persuading and buying cycle for enterprise technology is a unique journey compared to the rest of the world of B2B tech marketing. Once a client has earned a prospect’s attention, the journey to closing a deal could be from three months to a year or more. In the B2C world a “conversion” may mean a sale, but in this world, a conversion is the beginning of a long courtship. As with any courtship, you’re seeking an attractive partner with whom you have mutual compatibility and understanding. Building such a relationship is difficult if you’re not speaking the same language. And as marketing agencies, we’re charged with being our client’s Cyrano de Bergerac — finding the right seductive words to initiate and deepen a relationship over time for potential customers. Problem is, there’s a steep learning curve in this space and writing the types of “love letters” that will resonate can be a tall order for the uninitiated. Many companies get bogged down in months-long “discovery,” during which time their agencies bill outrageous fees for strategy and creative teams to go to tech school. After they’ve finished a semester or two of learning about the client’s industry, products and differentiators, then they start crafting campaigns. But guess what? They’re still not fluent. There’s a difference between learning a foreign language for six months in a classroom (or conference room) and learning that language by living in that “country” years and years. If you want to connect with the natives, live and work with the natives. We’ve maintained our fluency though living in the country of Enterprisetechia for years. Sometimes we’ll go visit the United Real Estate Emirates, Startupland, or go on vacation in the Pro-Bono Islands, but there’s no place like home. Staying close to industry publications and blogs are key to staying ahead of the learning curve, but we’ve also maintained close relationships with industry analysts to not only stay current with the here and now, but to have informed views on where the technology space as a whole is headed. All of this empowers our team to respond to our clients’ need faster and smarter than we would be otherwise. And just as important, it enables our team much more freedom to create more memorable and compelling experiences — resulting in better results. The call is coming from inside of the house! My final point is that sometimes the boogieman that’s blocking relevant buyer engagement is on the in-house marketing team itself. It’s important for agencies to conquer the learning curve, but if they struggle to “get it” because in-house teams don’t get it either … well, that’s just a tragic situation where the blind are leading the blind. And then it’s not just marketing dollars being wasted, it’s the company’s position in the market and potentially its stock price that is under assault. We don’t claim to have all of the answers, but we know enough to ask the right questions to comfortably cross this chasm with you, do some effective work and have fun along the way. Blog for Gus Granger, Chief Creative Officer for Cyxtera— the new home of the 70kft agency’s strategy, design, dev and digital marketing teams.